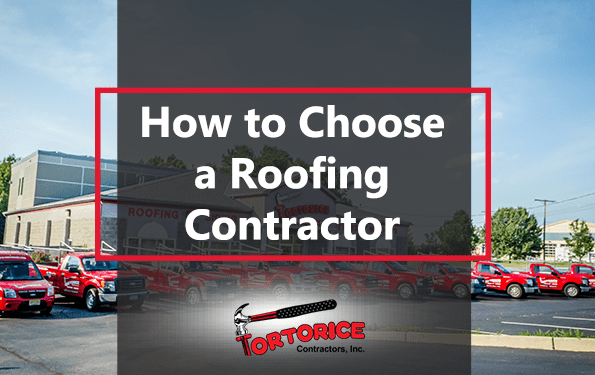 Tips on How To Choose a Voorhees Township Roofing Contractor - Tortorice Contractors Inc.
One of the biggest challenges property owners face is choosing the right Voorhees Township roofing contractor to do the job. Roofs can be damaged after a storm or due to wear and tear. Whatever the reason, it should be fixed quickly to protect you from any weather elements. However, fixing a roof can be dangerous, especially if you don’t know what you’re doing. This is why you need a good roofing company in the Voorhees Township who is honest, trustworthy, and professional. Here are some tips to keep in mind when choosing the best contractor for the job. When looking to hire a roofing company in the Voorhees Township, look for a company that has a manufacturer designation. This is like a badge of honor among roofing companies because this means that they had to pass requirements and training to be factory-certified to install certain roofing materials. Depending on the manufacturer, some training and requirements are more stringent than others. There are some roofing manufacturers that assign designations to roofing contractors from the Voorhees Township. Try to look for a company that is certified as “elite” or “master” to know that they are at the top of their field. There are some Voorhees Township roofing firms that suddenly arrive after storms. They usually offer quick and affordable services which can be very tempting. However, most of them are unlicensed or do not have a physical address and are most likely uninsured. While it can be tempting to take them up on their offer, it is always better to research your local BBB for ratings of Voorhees Township roofers. Look up their scores and ratings to help you find a roofing contractor in Voorhees Township that you can trust. Stay away from roofing contractors who are not listed in the BBB. A roofing contractor based in the Voorhees Township should be able to give you a good warranty for your roof. Be sure that the warranties include coverage for contractor’s workmanship. If the roofing company in Voorhees Township does not give you a warranty and the roof is installed incorrectly, it could take months before you see the problems. Your insurance won’t pay for this type of “accident” and if the contractor won’t fix it or if they’ve gone out of business, you could end up having to pay for a new roof again. Check to see what kind of warranties the roofing firm in the Voorhees Township offer for their work and make sure that everything is covered. Safety is a very important issue when working on a roof. Before hiring any roofing company from Voorhees Township check to see if they have good safety records or if they follow industry standards. A good company knows how to take care of their employees and prioritizing employee safety is one of the best ways of doing so. Check for certifications and training, and make sure that their safety equipment is complete. Remember they will be doing work on your property and accidents can cause damages. A reputable Voorhees Township roofing firm should have an applicable license and insurance for their employees and subcontractors. Some states require roofing companies to be licensed but this does not mean to say that all of them are. Ask the roofing company in the Voorhees Township if they are licensed and to provide you with a copy so that you can verify it online. You should also ask for a copy of their insurance policies. Not having enough coverage could end up causing a litigation should a roofing employee sustain injuries on site. Insurance should be for workers’ compensation and liability insurance. Watch out for Voorhees Township roofing companies that pressure you into signing a contract before the insurance company gives you an estimate of the damage. Some contractors say that they can work around whatever amount the insurance company settles on. However, a diligent roofing contractor based in the Voorhees Township inspects the property first and then will give you an estimate and make sure that the insurance adjuster did not miss any damages during their inspection. As the property owner, you should be able to choose the roofing material that goes into your house or building. Be wary of roofing contractors from Voorhees Township who do not give you many roofing options. You should be able to choose the color and type of material you want them to install to help beautify your property or to increase its property value. If the insurance company is paying for your new roof, it could be the right time to upgrade materials that suits your style and taste. The right Voorhees Township roofing contractor should be able to assist you in choosing a new roof. We hope you will consider our advice when it’s time to choose a contractor.